Release date: June 7, 2017. 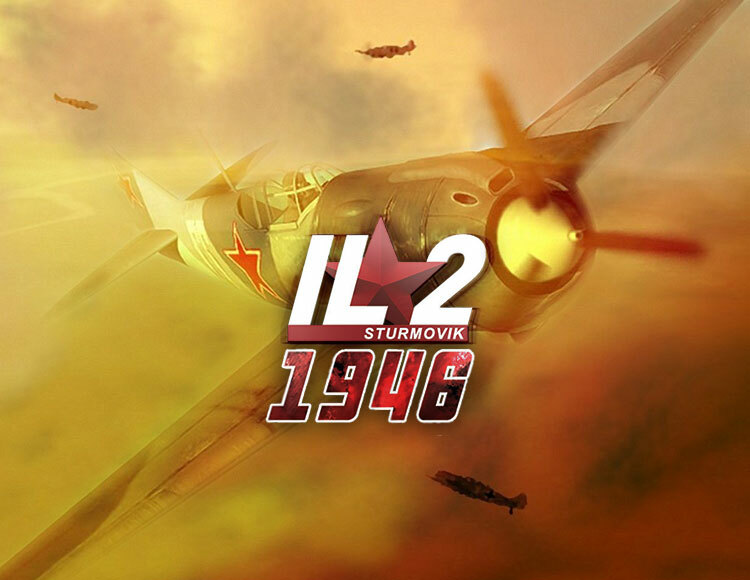 After payment you receive a link on which you can get the license key of the game IL-2 Sturmovik: 1946 from the official supplier - the company "Buka", for activation in the STEAM system. Opportunity to fight on the side of the USSR, Great Britain, Australia, USA, Germany, Italy, Hungary, Japan and other countries participating in the Second World War. A huge selection of controlled equipment - 229 aircraft of different types: light Zero fighter, Il-10 attack aircraft, Stuka dive bomber, heavy TB-3 four-engine bomber and other combat vehicles. 9 detailed static campaigns with a total duration of 180 missions, more than 780 specially designed for them aircraft painting schemes! A dynamic campaign system that generates an infinite number of diverse missions in the framework of scenarios from Pearl Harbor to Berlin. Over 40 carefully re-created maps. Visit the sky over Kiev, fly around the Crimea, dive into a squadron crossing the Pacific Ocean, lay a turn over the Reichstag. And that´s not all! Stunning detailed graphics: models of aircraft, aircraft carriers and other equipment are virtually indistinguishable from their real prototypes! 31 cards for playing on the network and a huge number of game servers around the world: take part in air battles, or with friends start the passage of multiplayer campaigns. Up to 128 players on a dedicated server and 32 in a cooperative game mode! A huge number of diverse user capabilities: develop your own missions, campaigns and aircraft coloring options. Create an external appearance of your virtual self. In the game on the network you will be recognized in person! Change of day and night in real time, as well as various weather conditions. An adjustable level of complexity and a lot of training missions, thanks to which the pleasure of the game will be able to get not only the aces of air combat, but also quite inexperienced pilots.